Isn’t it funny how the people who can’t afford the right thing, can afford to buy the wrong thing over and over again? This quote comes from one of my earliest tech mentors, and it set the stage for every system install and tool purchase since. It applies so well to this field, where we are frequently pulling out low end analog camera systems that do not allow proper recognition of what is going on. While we are not the cheapest option overall, you will find for the level of quality we offer, we are very affordable. Nothing will have to be ripped out and redone if you wish to add or upgrade later. We rip out systems like the one on the left every day! Leave it to a tech company to find the best cameras. The biggest problems in the camera business are terrible looking analog systems, and incredibly overpriced IP systems. This is caused by lack of knowledge. Many advancements have occurred over the past two years. A lot of folks in this business are locksmiths and fire alarm installers. While they are great at what they do, they often know just enough to set up a working CCTV system. They can do it, but they’re not avid technologists. We are a technology company first and foremost. Who better to stay on top of developments in IP cameras? This is reflected in the solutions we offer. We deliver top tier camera systems that allow you to zoom in and identify items, faces, and more, all at affordable prices! By taking advantage of new developments in IP cameras & computing, we can offer systems that traditional installers wouldn’t be able to offer for less than twice the price; can you believe the quality in this image was produced by a $120 camera, on the lowest quality system we offer? One must simply know where to look. Why not a standard $500 eBay camera system? $500 CCTV packages come with eight cameras, a DVR, a terabyte of storage, and free wiring. Why would anyone spend more than that for a camera system? We answer that in this demonstration video where we use a $500 eBay camera system, and compare it to the camera system we put together for our store. That question is commonly asked, and not properly answered until that moment where you need to use it. Property goes missing or a robbery occurs. You head over to the $500 camera system to see what happened. Maybe you find a screenshot of the person who robbed you, and you can’t tell his face from your receptionist! Even when you can see what’s going on, you can’t find the right clip of footage even after an hour of searching. Seeking is slow, cumbersome, and headache inducing. You go through a barrage of files that you can’t seek through; only able to view one camera at a time, until you give up on finding the moment at which the loss occurred. 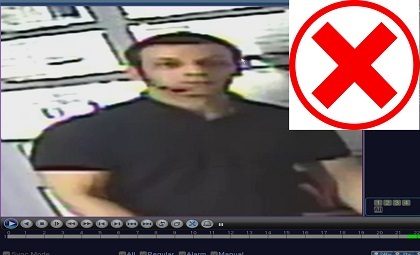 You give up on trying to identify the assailant after going through gigabytes of blurry pixels, and if you can’t identify them – then what’s the point of a camera system in the first place? We’ve been there. We bought the $500 camera system! It’s time to find a lost part but you can’t even tell what the technician is holding. It takes 15 minutes to follow someone from one camera to the next from the front to the back of the store even though their walk from one room to the next occurs over a 90 second time period. A kid steals a device from the front of the store and we can’t tell him apart from the family dog. What we had wasn’t a $500 camera system – we had a $500 pile of crap. Go back to what Ricky Begin told me at a young age, “isn’t it funny how the people who don’t have the money to buy the right thing, have the money to buy the wrong thing over and over again?” If only I had listened. Our store made the same mistake, but we decided to not buy the wrong thing more than once. 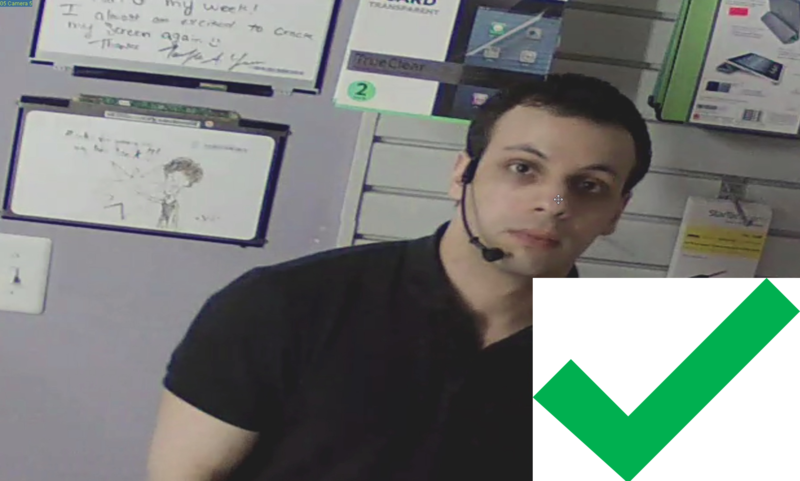 We’ve made these mistakes, and over the past few years, became involved in the CCTV industry in the pursuit of the perfect security solution for our own retail store. We’ve met many business owners who have experienced the same issues that we did with installations that cost well over $5000 for under ten cameras – and have managed to do much better with far less. It made sense at this point to offer these services commercially. Security cameras that work for you. The systems we install are designed to work properly from the start, with no need to rip them out after they stop working. They are maintainable, upgradeable, and above all – they do the job right the FIRST time! Crystal clear images. Our systems offer license plates you can read, and faces you can recognize. Easy viewing. Seek through multiple cameras on screen, by time or date quickly in real time. Skip to the moment you need in seconds – not hours. Watch every camera in your system and seek through in realtime; or only watch cameras relevant to the situation you want. Remote viewing. Watch what is going on in real time from your smartphone, tablet, or computer. Be on your Galaxy or iPad from anywhere and keep tabs. Free support. We provide limited free technical support after your install; along with guidance on how to set up and use your system. We’ll set up your first five devices for free, and walk you through how to use remote viewing. Affordable – We were given quotes of $10,000 and more for basic, small camera installs for our own store; and we laughed. We set up quality systems, but you’ll find the pricing is quite reasonable. We don’t go for the most expensive name brand solutions just to make life simple. As a technology company, we stay on the bleeding edge and are always informed on the best deals to get the job done – not just the most expensive. Free consultations – We will come out to you and look over your site so we can recommend the best camera solution for you; all at no cost.